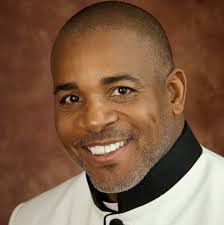 Bishop Alvin E Miller Sr was born in Fort Pierce, Florida. He is a 1977 graduate of Fort Pierce Central High School where he was an All-State Football Player. In 1979, he led Eastern Kentucky University to winning the NCAA-1AA National Football Championship (the first in school history). ABC Television and Chevrolet Automotive Corporation voted Alvin as the Semi-Final Championship Game and the National Championship Game Most Valuable Player. In 1980, Alvin led EKU to another National Championship game where he received the Most Valuable Player Award by ABC Television and Chevrolet Automotive Corporation in the NCAA-1AA Semi-Final Championship Game. In August 1981, Bishop Alvin E Miller Sr graduated from EKU with a B.A. in Sociology. Upon graduating from college, Rev. Dr. Alvin E Miller Sr was commissioned as a second lieutenant in the United States Army. During the spring of 1984, Alvin was invited to the Houston Oilers Free Agency Football Camp in Houston, Tex. In December 1988, Alvin earned his Master of Divinity degree from The Southern Baptist Theological Seminary in Louisville, Ky. While at Southern Seminary, he worked as a prison chaplain at Luther Luckett Correctional Facility in LaGrange, Ky. He also served as an Aide-de-Camp for Brigadier General Merwyn L. Jackson of 100th TRNG Division (USAR). After graduating from the SBTS, Alvin returned to Florida and worked as a teacher for the St. Lucie County, Fl., Public School District. In June of 1989, he was appointed to the Governor of Florida staff as the Governor’s Drug-Free Communities Coordinator. In January 1990, he returned to Active Duty in the United States Army as a Chaplain (Captain) and served for nearly five years. After being honorably discharged from the U.S. Army, Alvin returned back to his hometown of Ft. Pierce, Fl., where he pastored and worked as an educator. In May 1999, Alvin earned his Doctor of Ministry Degree from Oral Roberts University in Tulsa, Okla. The same year, Alvin was inducted into the St. Lucie County, Fl., Sports Hall of Fame. During his stay in St. Lucie County, he served as public school teacher for seven years and as a district level administrator for three years. Dr. Miller served in the United States Army for 32 years and reaching the rank of COLONEL. On May 6, 2011, CH (COL) Miller served as one of the senior chaplains at Fort Campbell and Rear Detachment Chaplain for the 101st Airborne Division (Air Assault). President Barack Obama recognized Colonel Miller during his speech to the Troops as the Commander in Chief congratulated the Soldiers at Fort Campbell, KY for ending the ‘Reign of Terror’ of Osama bin Laden. Currently, Dr. Miller is the Senior Pastor at St. John Missionary Baptist Church in Clarksville, Tenn.
His Honors and Awards include (Military): U.S. Army Meritorious Service Medal (three awards), The Army Commendation Medal (five awards), The Army Achievement Medal (five wards), Armed Reserve Component Achievement Medal w/four oak leafs, National Defense Service Medal w/Bronze Star, Armed Forces Reserve Medal w/“M” Device and Silver Hour Glass, and the Army Service Ribbon. Civic/Community: Who’s Who Among America’s Teachers (2004, 2000, and 1998), Florida’s Most Outstanding Government/Community Leader by the Florida Jaycees (1997), Outstanding Young Men of America Award (1988, 1985, and 1981); The Order of Omega National Honor Society (1980), and Who’s Who Among Students in American Universities and Colleges (1987), Top 25 Pastors in Nashville and Middle Tennessee Area by Dr. Bobby Jones Gospel Show on BET (2005), America’s Top Church of the Week by Pat Robertson and the famous 700 Club Television Show (2006). In 2012, Dr. Miller was awarded the Top New Pastor Award in Clarksville and Middle Tennessee Area by a local Nashville radio station (The Light Radio, 102.1 FM) and gospel artists across Nashville and Middle Tennessee. Dr. Miller is the author of the Radical and Controversial JESUS. Rev.Dr. Alvin E Miller is a graduate of the United States Army Command and General Staff College, the United States Army Chaplains Advanced Course, the United States Army Chaplains Basic Course, the United States Army Armor Officers Advanced Course, and the United State Army Ordnance Officers Center and School. Dr. Miller is a father, grandfather, and the husband to the former Dominique Haywood of Nashville. Currently, Dr. Miller resides in Nashville with his wife.